Industrial Bearings & Services considers it our duty to make knowledge of Couplings our specialty, among other things. That mentality alone has allowed us to service new and returning customers in the Houston and Southeast Texas areas year after year. Whether it’s flywheel couplings, gear couplings, or spacer couplings, we know our stuff. And so does the rest of our team, which has a collective experience of 200 years at your service. From selecting the couplings, to customization, to pickup or delivery, our experience is yours, our knowledge is yours, and now, our products can be yours too. What exactly is a coupling and what is its function? They’re used greatly for rotary power and concern high-inertia, continuous cyclic-loading and starts. It is the variance in speed performance, regulated start-up, and avoidance of shock loading to the power transmission systems that make couplings as important as they are. From there, it may intrigue you to know that there are different types of Couplings – rigid and flexible. And even those two types have sub-types beneath them that will provide you with good setup of couplings. Rigid Couplings produce the most substantial reactions on equipment. Chain, gear, and grid couplings span moderate to high in the moments and forces they have over equipment, with regard tot torque and misalignment. Elastomer Couplings, generating moderate to low on the moments and forces scale, are mildly dependent on torque. Flexible Couplings are primarily concerned with the use of Teflon or rubber molding into the couplings themselves and typically are used for high RPM. 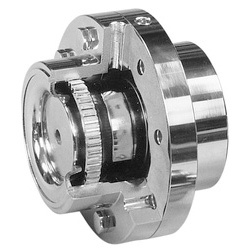 They are coupled in the transmission with encoders, do well to withstand high revolutions and suppress vibrations. The world of Couplings may seem extensive. That’s because, in some cases, it can be. But not when you have Industrial Bearings & Services on your side.